This is a pair of Team Associated 2.2" Rear Hex Wheels, and are intended for use with the Team Associated B4.1 1/10 scale buggy equipped with the optional 12mm Hexes. 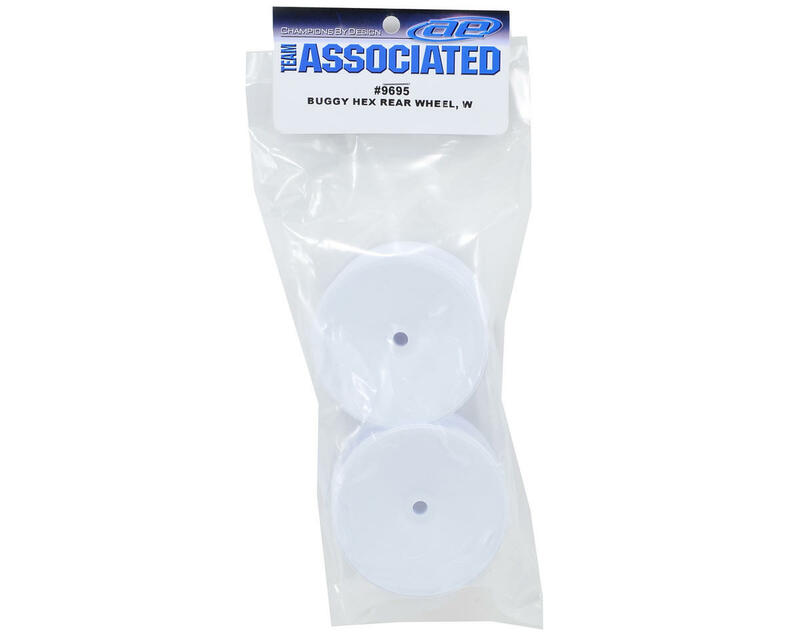 These hex wheels will also work with the Team Losi Racing 22, Kyosho RB5 buggy and any other buggy that uses a 12mm hex wheel. The AE 12mm hex wheels feature an additional concentric ring rib which uses material efficiently to increase the wheel stiffness to reduce wheel deflections under hard cornering and help ensure a true-spinning wheel. 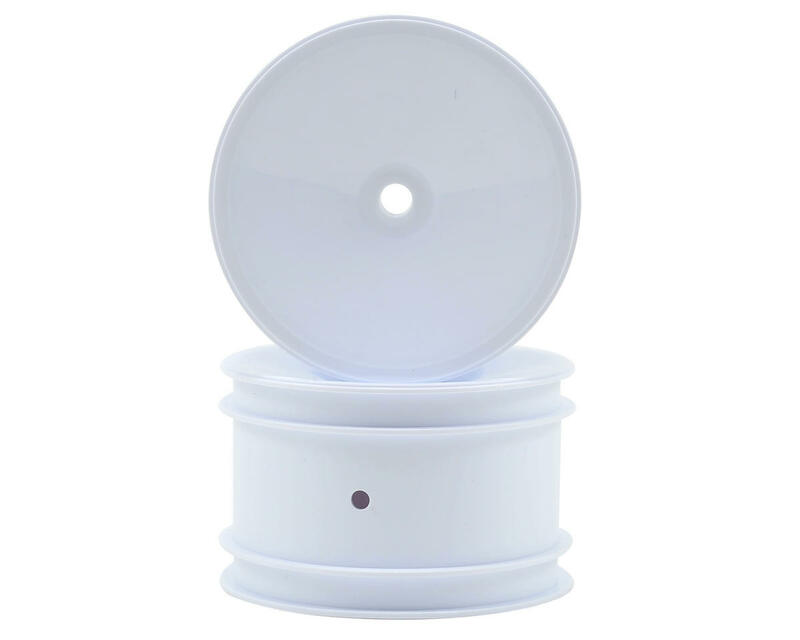 The AE wheels also feature a glue catch step along the perimeter of the rim which helps prevent glue from running down the face of the wheel and provide a larger bonding surface area for the outside glue bead. (It's an Associated wheel, bro.) These wheels are great and I've never ever had a problem with them on any of my Associated buggies.